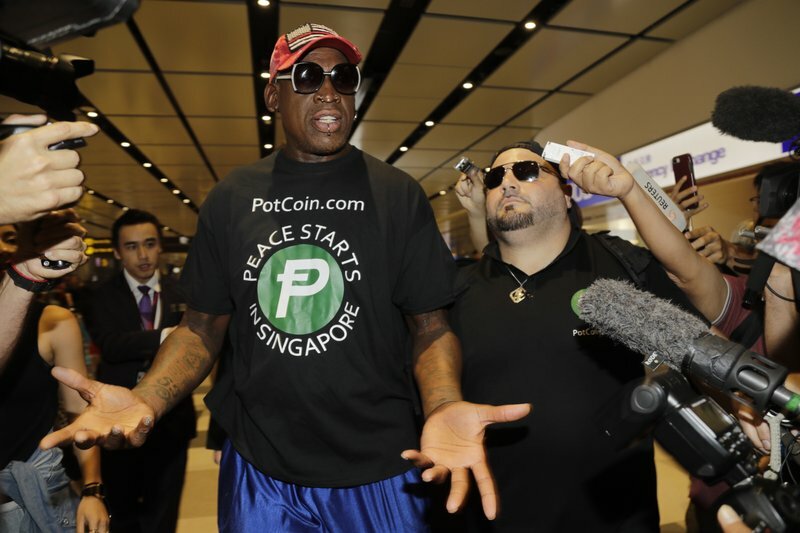 SINGAPORE (AP) — Former NBA star Dennis Rodman openly wept on television in a live interview from Singapore on Tuesday as President Donald Trump and North Korea’s Kim Jong Un met for the first time. He told The Associated Press that he hopes to soon visit the White House. In an emotional and sometimes hard-to-follow interview with CNN’s Chris Cuomo, Rodman, wearing sunglasses and a “Make America Great Again” hat, said he had received a call from the White House ahead of Trump’s historic meeting with Kim — the first between a sitting president and North Korean leader.